Dirty air ducts can pose health risks to your family or the occupants of your property. From acute illnesses such as allergies and asthma to chronic diseases like lung cancer, there are many potentially harmful effects of a dirty HVAC system. For this reason, it is important to schedule regular cleaning and maintenance to improve indoor air quality in Norcross, GA. Here are some favorable health benefits you can get from cleaning your air ducts. An efficient HVAC system can quickly filter out harmful particulates and odors in your home or building. Fresh air can help you breathe easier and improve your body’s oxygenation. This benefit can lead to optimal functioning of your major organs and prevent respiratory issues like asthma and chronic obstructive pulmonary disease. Prevent small particulates from causing eye or skin irritation. Allergens are everywhere. It’s just a matter of exercising proper indoor air quality control in Norcross, GA. If you suffer from constant hives and inflammation, then you might want to call a qualified HVAC technician to have a look at your air ducts. Pollens, dust, spores, and fungus that can cause irritations can accumulate in your heating and cooling system over time, so don’t ignore the signs if you were sensitive to these particles. Clean cooling and heating air ducts can help you avoid respiratory problems like asthma. You must always keep your system working in top condition because constant exposure to irritants can cause chronic diseases such as lung cancer. Swollen sinuses and congestion can also be prevented by regular air duct cleans. Temperature regulation is an essential faculty that keeps everyone alive and healthy. Extreme drops or increases in temperatures can cause your body to respond negatively in many ways. High blood pressure, hypothermia, hyperthermia, and sensorial issues can all result from poor temperature control. All of these symptoms can trigger a domino effect on a person’s equilibrium and cause vital organs to shut down in worst cases. 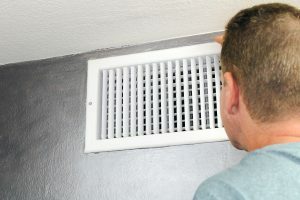 Cleaning your air ducts can ensure that your HVAC system is working correctly and can protect you from extreme elements. Take advantage of these health benefits by availing of indoor air quality solutions in Norcross, GA. Don’t skip cleaning and maintaining your HVAC system for best results.